On Saturday 7th October Jarrow Hall welcomes incredible local artists The Old Police House Collective to the new venue for a live electronic rescoring of silent cinema classic Nosferatu. The first ever film adaptation of Dracula, F.W. Murnau’s surreal 1922 cine-fable can lay a strong claim to being the very first horror film, setting the macabre mould for a century of the genre with this waking nightmare of a film. With character names changed so the filmmakers could avoid having to pay Bram Stoker’s estate, the author’s heirs sued over the adaptation and a court ruling ordered all copies of the film destroyed. 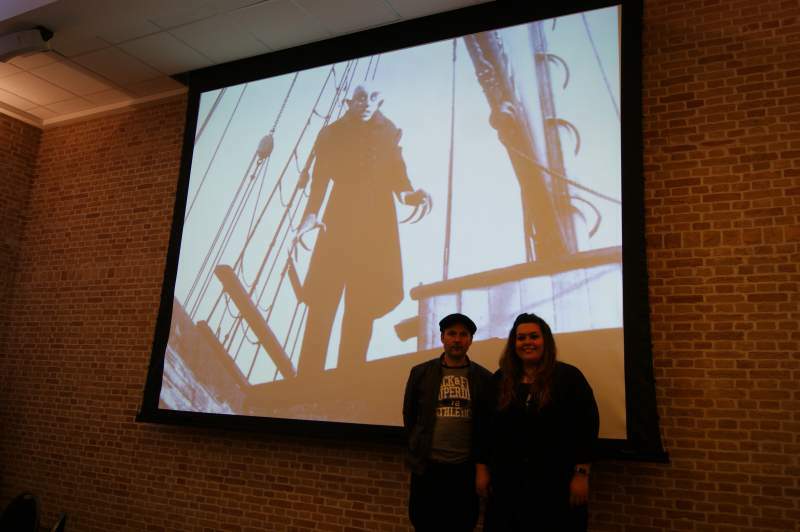 A few prints of Nosferatu survived however, and the film came to be regarded as a powerful masterpiece of cinema. This incredible slice of early cinema will be enhanced with an eclectic live mix of electronics, guitars, vocals, zithers and drum machines, these artists will create an immersive soundtrack unlike anything you’ve heard before, for one night only. Fresh from rescoring silent film Metropolis at Glastonbury, The Old Police House Collective are thrilled to be the first musicians to play at Jarrow Hall.